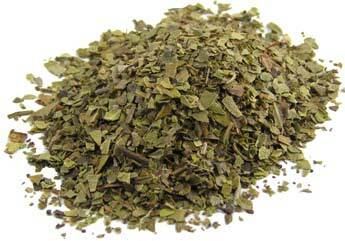 Add Para 20+ Blend to your Favourite Herbs list. Herbosophy's Para +20 Blend, with an incredible Twenty synergistic herbs contains no fillers, preservatives or additives and is freshly ground and encapsulated for you at order or packaged as loose powder: the choice is yours. I've tried several parasite cleansing products, each with their own benefits and challenges, but this one is strong and does what it claims, without severely knocking the wind out of your sails like some can. Recommended. This blend is amazing for digestion issues! I originally got diagnosed with Crohn's Disease about 6 years ago after a food poisoning from undercooked chicken at a takeaway place and have had nothing but trouble with my digestion since. I didn't agree that it was Crohn's and always believed there was some kind of bacteria still in there. I went to acupuncture and Chinese herbal medicine which helped a lot with digestion, (until they left town so couldn't continue anymore). None of the "natural remedies" really did a lot unfortunately and I wasn't going to take ongoing medication. Since then, I've been researching a lot on parasites so decided to give this blend a go. Since I started taking this blend about a month ago, I've had less cramps in my stomach digestion issues have been minimal, I have a LOT more energy and a generally happy well-being. I've been told my skin looks so healthy too. I am NOT going to stop taking these. While I haven't seen any "dead" parasites or proof that it's working on parasites, I have felt the positive effects on every other area of my health. I am so grateful to have discovered this website and the herbs it provides and I tell everyone I possibly can about this parasite blend when they ask me how I look and feel so healthy suddenly!! Thanks Herbosophy :)!